We drove down to URA to have lunch the other day. And saw this group of little tots. The teacher was asking them to go 2 by 2. Because I am missing you too. Warning: this post might sound incoherent to non-DHS people! The plans of watching a movie with ‘Charlie’ fell through. Cos Charlie wasn’t feeling well enough to go out. Dearest Charlie is not reacting well to chemotherapy. Recently there is a change in my social lifestyle. Making time for dearest Charlie at least once every week. Lotsa work-work stuff to do. Finance stuff occupied quite an amount of my time. Personal note to self: Focus on VM and GMAT! 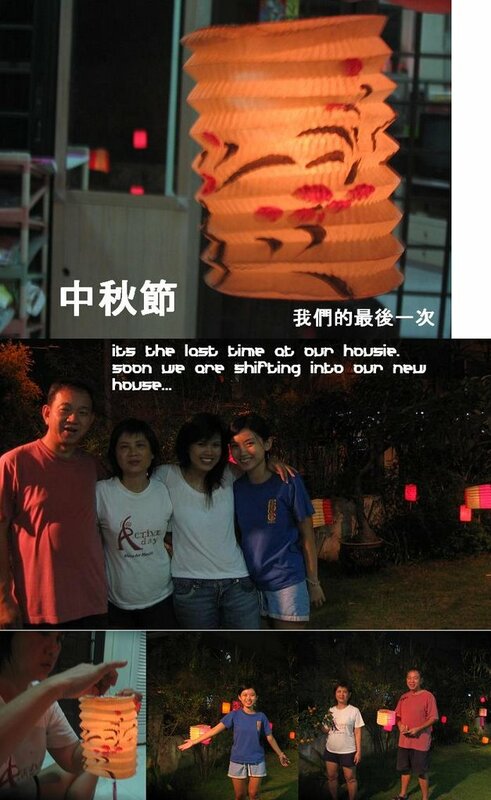 So I have been spending more and more time with Charlie and Chenwei and Charlie’s other DHS friends. Its almost like DHS gathering every week! Anyway. Some amusing old myths were revealed. Those childish secondary school politics. Think Mean Girls. Charlie and SD and Sam and JF are supposed to be the Four Heavenly Kings of our school. Cos oh well. as much as I do not want to admit it now. It’s due to the popularity with the ladies. heh. So SD was sitting beside Charlie aka LS on the bed. and he asked, so where are the other 2 (Jul and Daffy)? I thought you all were the Four Heavenly Kings, he commented. WAHHA. really. 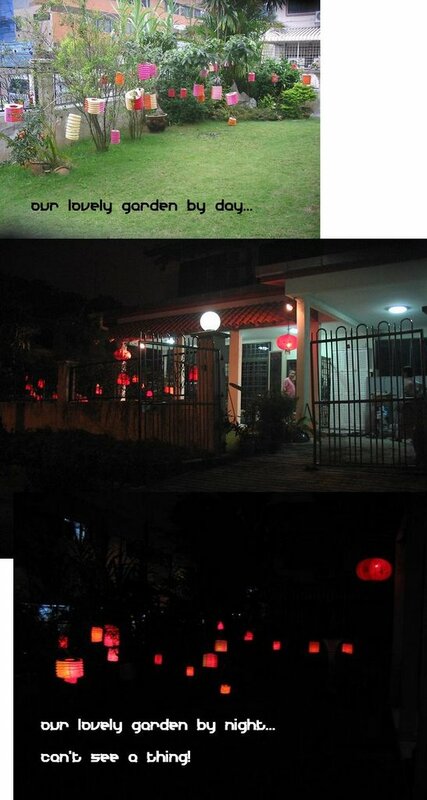 Chenwei and I were so amused. This we didn’t know til now! I doubt they know their ‘heavenly’ status, as we mentioned nothing to them. ha. Then there is this guy. Who is…the cutest of them all. (gosh, i hope he never ever see this!!) We (us 4) were rather good friends with the Heavenly kings, but not this guy. YH. He must be the sweetest friend LS has! He visits LS everyday. EVERYDAY. and he takes care of LS. I never really got to know him until recently with LS. So we hanged out more and more. And he would sweetly fetch us back home from the hospital or LS’s house. Yesterday when he was sending me home from late night supper at Jalan Kayu (near LS’s house), he noticed this chihuahua all alone on the pavement. And we got down to make sure that the chihuahua wasnt lost. Then I realised that he is not just a superficial good looker. It’s really so rare to see someone with a heart of gold like that. So anyway, he asked why he is so famous in school. I was pondering how to reply. Because my friends have crushes on you all the time? He answered his question himself. Must be because the public apology thingy. He and some people did some stuff stupid and were made to apologise on the stage. I couldnt even remember this! All I could remember is LS’s public apology. haahhaa. you must think that I am hanging out with the wrong crowd! But no, its as my school is a very very strict school. LS apologised for ….having a gf. ha. yesyes, I know. This is going to sound so incoherent to people who are not from DHS though! Yesterday I trotted the long way back to the MRT. At that underpass, I saw this familiar lady playing the Pipa (a traditional chinese instrument). Note that the lady below is NOT her! I did not take a picture of her. The pipa is a four stringed lute with a pear-shaped body. Its short, bent neck has 30 frets which extend onto the soundboard, offering a wide range (3.5 octavos). This instrument appears in texts dating up to the second century B.C. There are a lot of written texts of the Han Dynasty (206 BC – 220 AD) about pipa music played and the stories that inspired the composition for those pipa pieces. 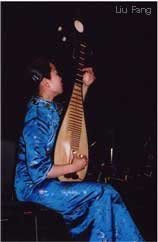 Since the Tang Dynasty (618-907), the pipa is one of the most popular Chinese instruments, and has maintained its appeal in solo as well as chamber genres. The pipa technique is characterised by spectacular finger dexterity and virtuosi programmatic effects. Rolls, slaps, pizzicato, harmonics and noises are often combined into extensive tone poems vividly describing famous battles or other exciting scenes. The instrument is also capable of more lyrical effects in pieces inspired by poetry, landscapes and historical themes. Pipa music has been loved by Chinese people through centuries and there used to be a large repertoire of pipa music, a lot of them were lost, and some of them were handed down from generation to generation through individual artists and scholars. So anyway, I remembered her from last week, she was performing the chinese classics. And I was captivated by her performance. And she did! Her tactics was great and she played those really difficult classics flawlessly. Her pipa was singing a very different tune. I am sure you all know this tune ‘Yue liang dai biao wo de xin’. Yes a pop song. Not a new pop song, but still. No tactics. No climax. No emotions. Her pipa performance was lifeless. If not, with a tinge of sadness. Because Art was sacrificed. For Money. I wonder what are your thoughts on Art for the masses. When the masses are not able to appreciate art and culture?